In honor of Mother’s Day, I thought it’d be appropriate to share what I admired in my mother, and strive for as a mother myself. Many of us are lucky to have been influenced by amazing women that were also mothers. Let’s celebrate those wonderful women! My mom Yvonne Springs was a strong, courageous woman who always put her children first. She worked hard to overcome life’s obstacles and set a good example for her four children. She never gave up. Always being there for my children, even when they are grown. Supporting my children’s dreams, even when they seem impossible. Defending my children against the world. Going the extra mile, whenever needed. Constantly and unconditionally loving my girls. 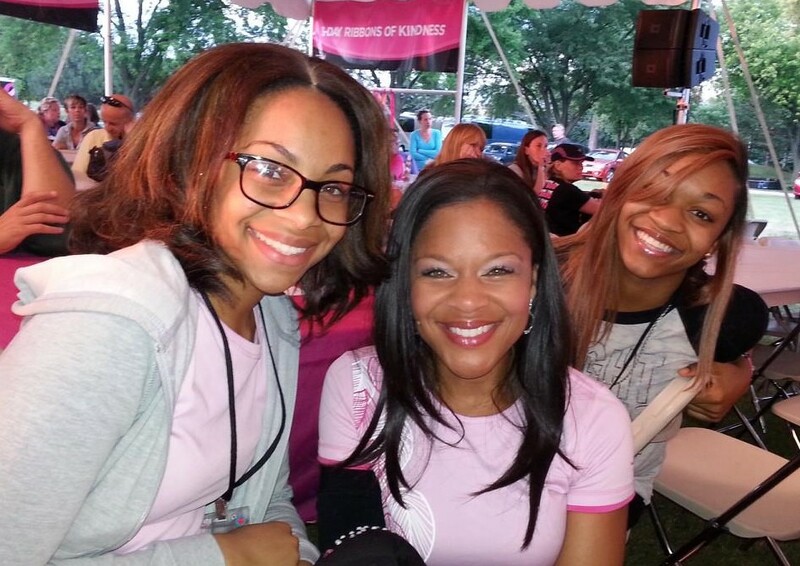 I walk for my two daughters who have blossomed into young women. I was so proud to walk in the 2013 Susan G. Komen Chicago 3-Day with both of my daughters when they participated in the Young Women Walking program. I’m thankful to the Val Skinner Foundation for sponsoring the YW2 program, which gives 16-23 year-old young women and men a chance to participate in one day of the Komen 3-Day and encourages them to take charge of their breast health. As mothers, we would do just about anything for our children. For me, walking in as many 3-Day events as possible is a small price to pay (while having the best time of my life)!